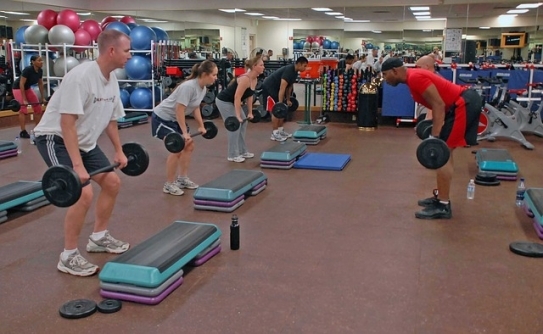 When employees don’t participate in your wellness program, you’re frustrated and wasting precious resources on equipment, classes, instructors, and events that don’t offer a strong ROI. You recognize employee well-being and optimal performance work hand-in-hand, but you are baffled trying to improve employee participation. Your employees need to know how to use the tools you’ve given them, and why the tools are important. Aerobodies’ turnkey, customizable workshop solutions have helped countless organizations like yours address the gaps in their wellness programming and improve employee participation. Workshops function as a tool that will help your employees better utilize your existing workplace wellness programming. Workshops will introduce your employees to various aspects of your existing wellness program and help them engage with those aspects in meaningful, personalized ways. A government agency that employs doctors and scientists approached us for assistance because employee participation in their program was low. After completing a gap analysis, we determined the problem. Participation was low because the employees weren’t being spoken to in their language, the language of research, proof, and scientific analysis. They wanted scientific proof that the wellness programs being offered would impact their health in a positive manner. After identifying this gap, we developed a 4-part workshop series that featured industry experts and clinical research. Thanks to Aerobodies’ pre-established network of experts, we were able to produce the workshops in just a few weeks. Once the employees learned about the programming in their language, participation significantly increased. Once employees attended these workshops and better understood how to use the existing programs available to them, 93% of them participated in an agency wide winter fitness challenge. 1. Turnkey solutions can be implemented quickly and affordably. We have a proven system in place and a network of subject matter experts on call which enables us to produce workshops in less than 30 days as an add-on service or as an a la carte service. 2. Workshops can be easily customized to solve your organization’s most pressing problems and address your employees’ unique needs. Our management experts are trained to motivate employees to get out of their seats and into your program. 3. Workshops enhance your existing wellness programming. Workshops are a tool that can be used to change the way your employees think about fitness, help them better understand how they can benefit from your existing program, and motivate them to reach their fitness goals through your program. Getting everyone on board requires a strategic combination of the right message and tools, Above all, be clear, consistent and provide regular reminders so that wellness is always on everyone’s mind in your organization. Positive peer pressure will improve employee participation in your program. If you’re looking for cost-effective solutions to enhance your workplace wellness program, a gap analysis is a great place to start. We can help you pinpoint problems and develop swift solutions to dramatically increase employee participation and ROI. Contact us at (866) 659-3400 or email contact@aerobodies.com to get support for your work-life wellness initiatives.